I fabricated a quick-attach system for the CUT that is similar in design to a skid steer loader quick-attach. It has wedge-locking pins that are hydraulically actuated that keep the implement tight against the mounting plate---usually. I found that under extreme pulling conditions I could get one or both locking pins to retract or ramp up which releases the implement. To prevent that I installed a pilot-operated check valve and that helped, but it still happens from time to time. The used to be an in-line valve that was used on the push side of hydraulic cylinders used on loaders. In fact it was marketed as an aid to "fix" worn out control valves that allowed the loader to drift down. 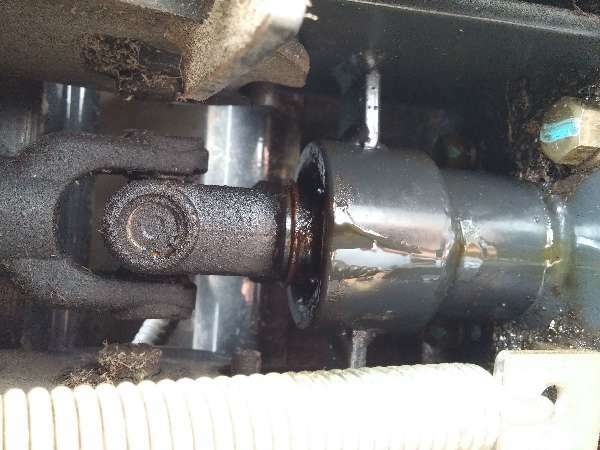 What is this valve called and where to find it? I have talked to two sales engineers at a major hyraulic supplier and both had differing opinions if a regular "in-line" valve would work. EW, if a pilot operated check valve is still allowing motion, then one of two things is happening, and neither is good, or something a different valve will fix. If a 'locked' cylinder moves, you have fluid moving PAST a seal, either in the cylinder itself, or in the check valve. This is because shock loading is exceeding the pressure limits of seals in the cylinder or valve, or both. Consider some form of mechanical locking pin, like a hitch pin, that will form a solid connection and just use the hydraulics to do the moving, not the securing. There is a company called Micro lock that I know locks brakes but I never heard of one for hydraulics or found a need for more then a check valve but that robs power so it is best or most economical to fix the problem. On a skid steer or tractor there are parts that will wear out faster do to the type of use. There are things they can do with ease for one make and a challenge for another. We've been seeing a lot of units going out with electric units for quick disconnects makes it a snap to change attachments on the skids. Art I think you mean Mico? I have a Mico parking brake on my dump truck. That electric quick attach could you be referring to hydraulic quick attach like what is my New Holland skid steer? It takes the place of the hand-operated handles. It's sweet! Expensive at over $800, but sweet. I have heard of, but not seen, a supposed self-coupling aux. hydraulics. There is supposed to be a Cat skid steer with this option around here but have not seen it. I haven't seen any hydraulic operated disconnects but why not! If only they could have it figured so you wouldn't have to open the door to let the cool air out to connect the electrics and the hydraulic lines where you are! At least up here it's let the cold air in and fight with cold connections! On A couple after market loader and such all that is used is a ball valve to close the circuit. There is a valve used on the tail gates of New Holland balers that would work to. It is actually a one way spool valve.